Route live status andÂ Student Count Vs Present Count on route. 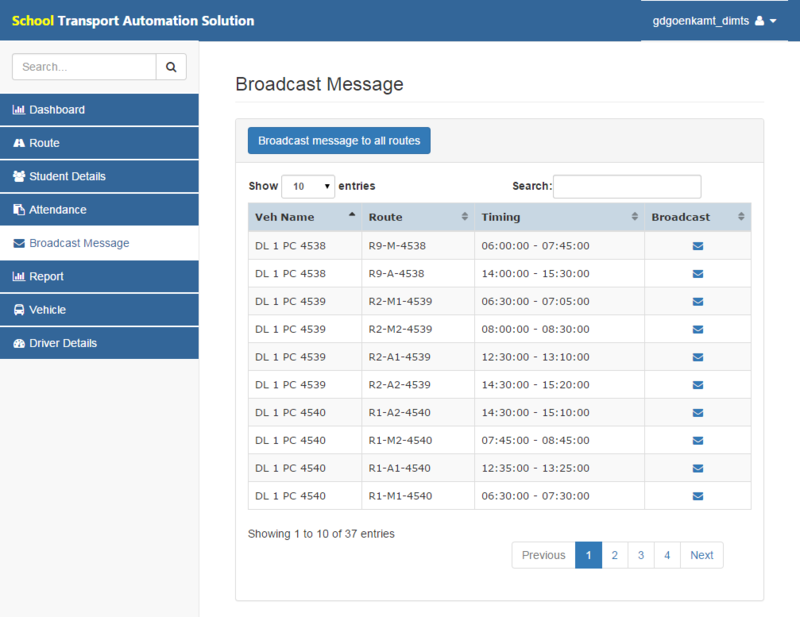 It provides the all quick links and important notifications at a glance. 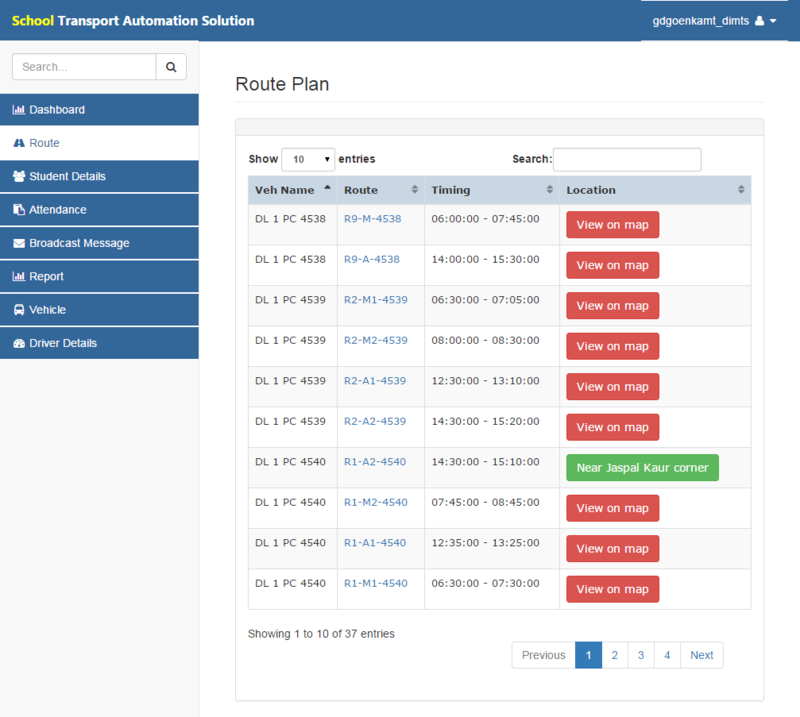 Route Plan gives the full information about the route of school buses. Bus live location on the route. Bus arrival timing to the stop. Route on the map with all stops. 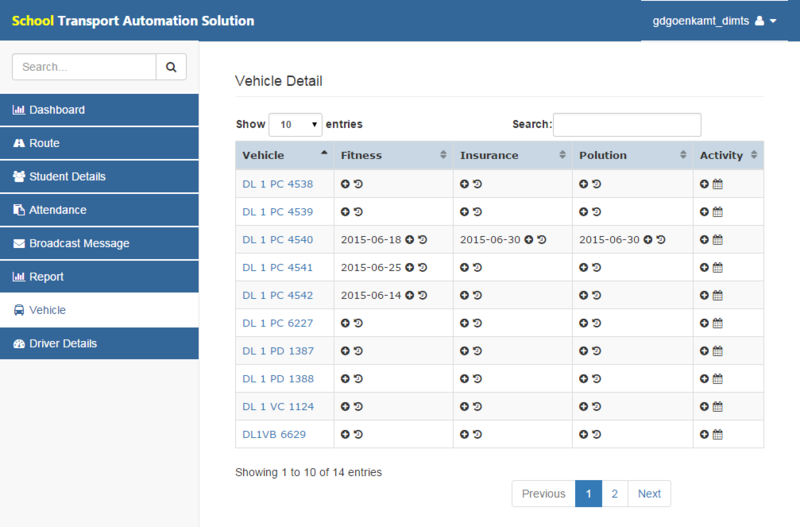 Vehicle Details provides the facility to add fitness, insurance, pollution and activity details and also view its reports. 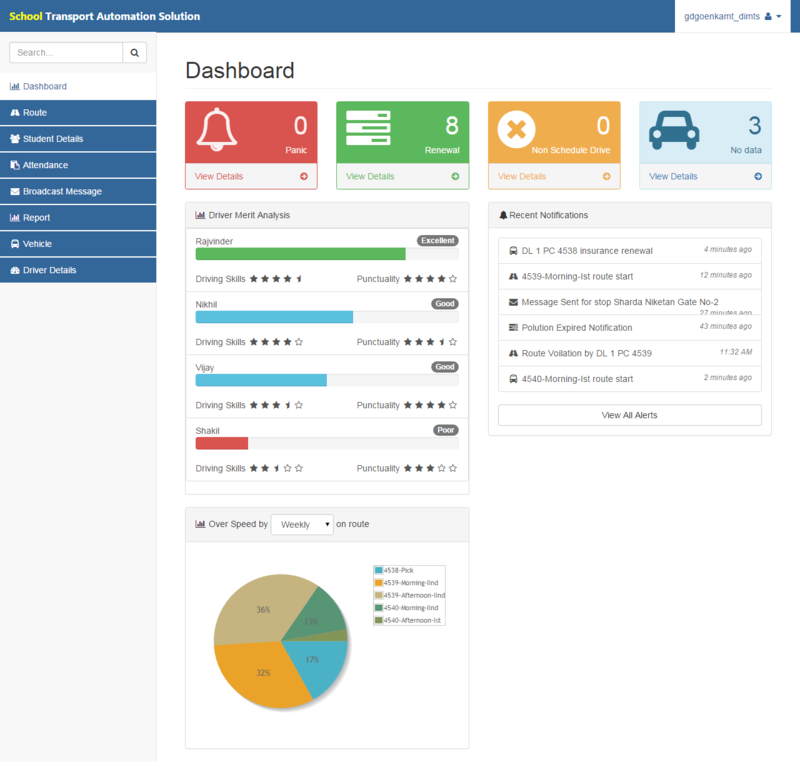 By using this you can manage your fleet in very effective manner. You will get notification of due date by SMS and mails. All information and details related to the student details like name, contact number, class or standard in which he or she studies, bus-stop where student pick and drop and bus number. 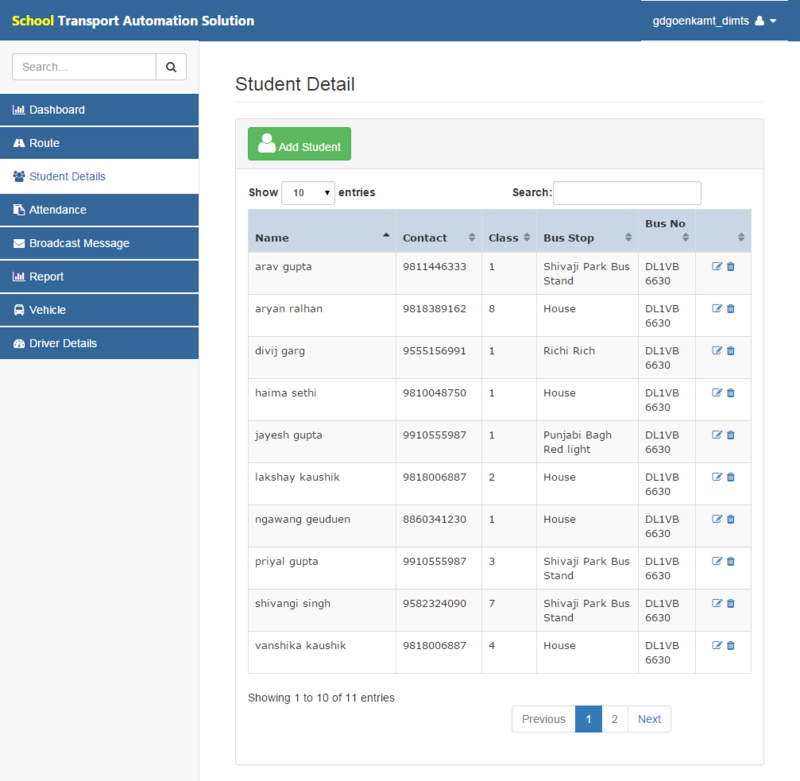 Admin has facility to insert or delete the student details as requirement. And also has facility to check or edit the details of student. 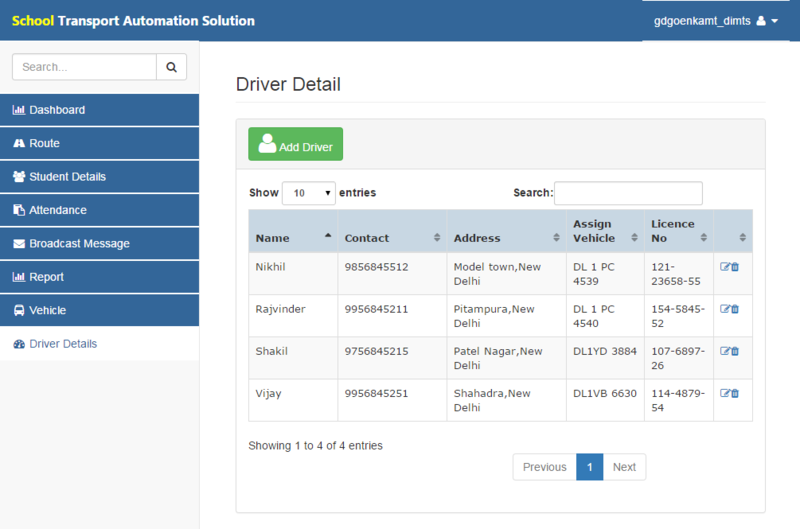 Driver detailsÂ gets driver name, contact number, address, bus number that is assign to the driver and license number. 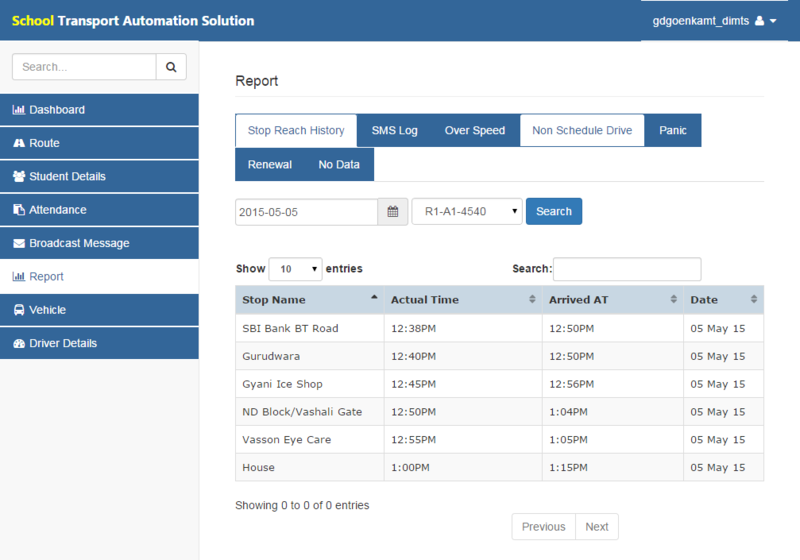 Administrator can easily add,Â modify,Â update and delete the driver details as required. HereÂ store the full information about the driver. 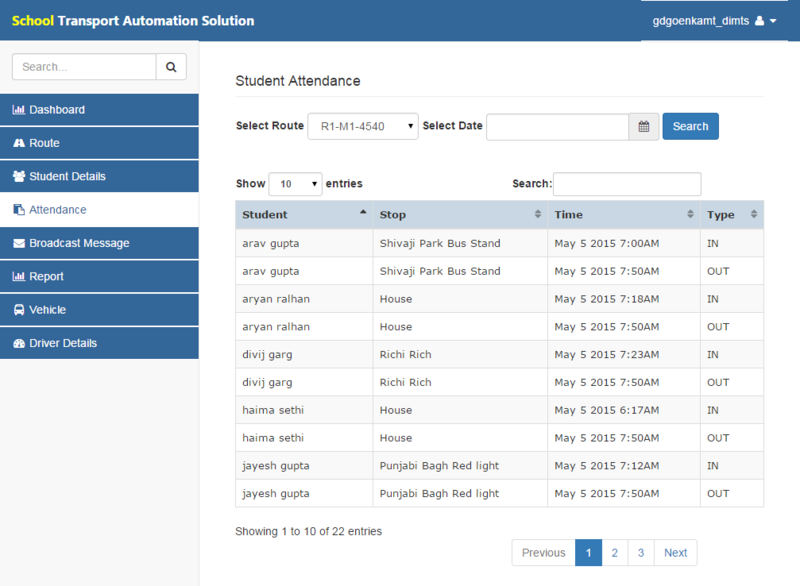 By RFID, when a student enters or exits to the bus, status is shared with the parents or school administration through SMS. A device is placed at the entry gate of the bus. When student enters in bus, should punch the RFID card , it sends the message to the parents that student is entered in the bus. 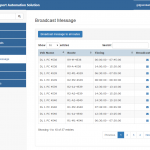 Broadcast message is use to send the message to parents for a particular route or all routes.